MATRIX SUPREME BLADE FEATURES AND BENEFITS: Matrix is as much as 33% lighter than conventional blades! Lowered weight manner Lowered fatigue and with Chrome steel runners, blades have more difficult edges to carry edges longer. 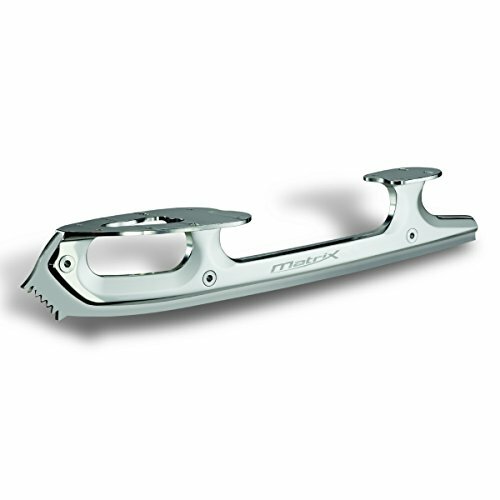 AUS8 Chrome steel runner is repairs loose and holds edges longer for an extended lasting blade. Runner is inset into chassis and completely secured the usage of 3 axels. Parallel chassis permits for correct sprucing. Same old heel. Freestyle/pairs utilization. Worth in line with pair. Matrix is as much as 33% lighter than conventional blades!